You won’t spend long on our social media feed without finding me with a paint brush in my hand, why? 1. Caleb can’t be trusted to paint 2. I love a good paint makeover. When it comes to the outdoors there are so many things to be done, but after dreaming and scheming the budget is the reality check that we can’t do everything. For our current home we made the decision to put the majority of our budget into the deck, which means more of my time will now be with paintbrush in hand as we look to save elsewhere. Painting is a cost-effective way to achieve transformation in an outdoor space and there are so many surfaces you can paint to add colour and freshness – timber, concrete, tiles, metals. I have a list of areas I want to paint in our outdoor renovation – the house, the roof and trims, the base boards, the fence, the paving edging, outdoor furniture, the pavers – oh and stain the deck! As labour intensive as my list is, the more challenging part is deciding what colours I should use on all of these elements. I find colour scheming outside an exciting challenge – it’s different to painting indoors where you work within a controlled environment. Every renovation so far I have used a different colour scheme inside, however when it comes to exteriors I have used the same colour scheme. Below we have the last two renovations we have sold, both with the same colour scheme just in the slightly different format. There are some basic elements to the way I colour scheme, I select at least four colours and have three different tones within those colours - light, medium and dark. Four colours because you need to use at least 4 different types of paint each formulated for different surfaces, roof and trims, wall colour, deck and fence timber and windows and doors. What I would consider a standard and safe colour scheme is light windows and doors, medium walls and baseboard and dark roof and trims. But this colour scheme... I'm hoping to mix it up a little. Normally when I am colour scheming I select the house colour first – this is the where the most paint is applied and the largest surface area. Some colours I love at the moment for exterior walls in the Dulux Colours of NZ range - Thorndon, Aniwania, Kingston and Marton. 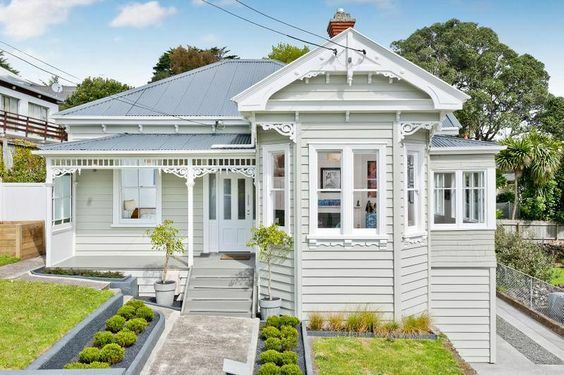 For our current project, we have selected Dulux Colours of NZ Waitoa. A traditional exterior colour scheme would be to contrast between your windows and house colour, so having both in white will create a scheme that is slightly different to most houses but still a safe option. With all my colour selections, I try to balance the desire of doing something different and still appealing to popular trends. Though we don't plan to sell this house anytime soon, I always think of the end goal - which is like anything in life to do it once and do it right! When it came to the deck we AGAIN decided to do something different and selected Cabot's Silver Beech Water Based Deck and Exterior Stain. 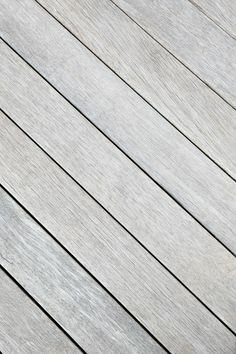 Normally we wouldn’t dare touch the colour of beautiful hardwood decking (that costs a far bit of coin) but in a small YOLO moment our whole deck became grey. Was there regret? We aren’t going to lie, there have been a few questions on if we made the right call, but we wanted to do something different and it pushed us out of our comfort zone. The deck colour acts as the medium tone for our colour scheme, bringing some depth and complementing the strong white of the house. Staining takes a lot more technique and time than painting does so my recommendation with decks and fences which have no colour on is, if it is new stain it, if it is old paint it. Going with a natural deck stain would give you a medium tone too, if you are looking for a safe and common deck stain option. This is where I feel my colour scheming will get exciting, with only the deck coming into the medium tone there will be a lot of contrast. For our windows they have already been painted white when we had them professinally recoloured, our roof colour we decided on Federation Grey, Ebony for our chimmey, baseboards, fences and paving edging. Black draws the eye and causes elements to stand out, black is a modern colour for the exterior and creates a very sophisticated and bold look. 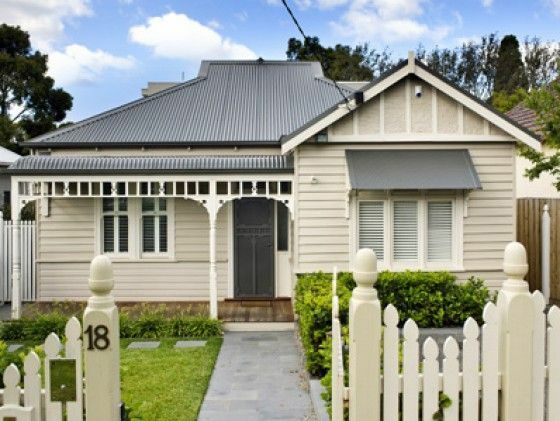 For us one of the big stand outs for this property is the large yard – so having a black fence draws the eye to the size of our suburban section and emphasises the greenery. 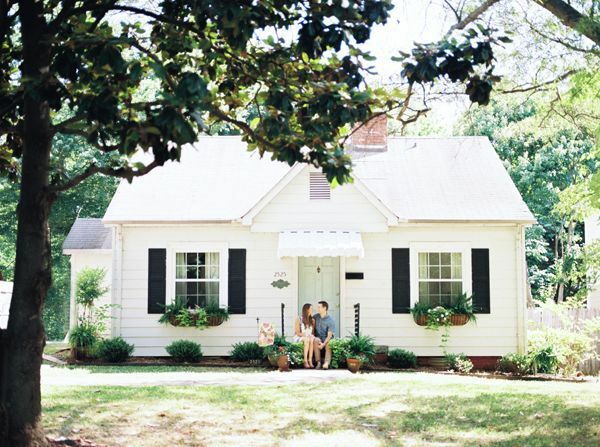 With painting the exterior, preparation is incredibly important. Make sure you read directions, especially as exterior paints come with warranties but only if you follow all the specifications. 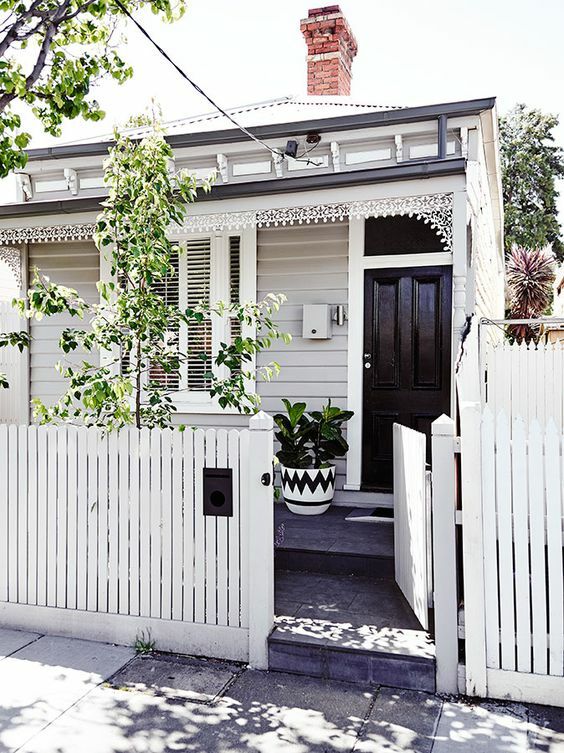 Here are some Pinterest found exterior colours schemes I love.